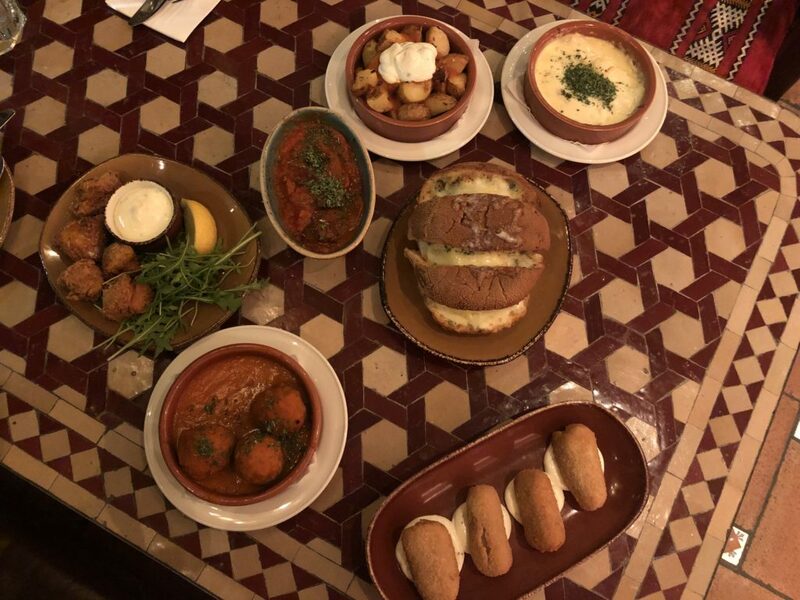 If you’re in the mood to be spoilt for choice and with a craving for hearty Mediterranean cuisine, Café Andaluz should be on your list with its special menu for Aberdeen Restaurant Week . The eatery is well-known for its interior – highly inspired by the south of Spain. There is a mix of booths and tables in the open dining spaces to choose from in order to accommodate many party sizes. My boyfriend and I were warmly welcomed by the staff and they were patient when going over the week’s dining specials. While we mulled over the wide variety of tapas for our mains, we were brought a basket of mixed bread. It was served with olive oil and marinated Spanish olives. Definitely a great way to kick-off our meal. It was difficult to narrow our choices down to three tapas each, but we managed to come to a decision just in time when our server returned. For my three I ordered the Albondigas (spiced pork and beef meatballs in a rich tomato sauce), the croquetas de jamon y queso (crisp corquettes stuffed with serrano ham and mozzarella cheese) and the patatas gratinada (layers of slices potato baked with garlic cream and mozzarella cheese). The meatballs were large and thick in density. The tomato sauce was incredibly rich and there was just enough of it to lather each meatball in it. 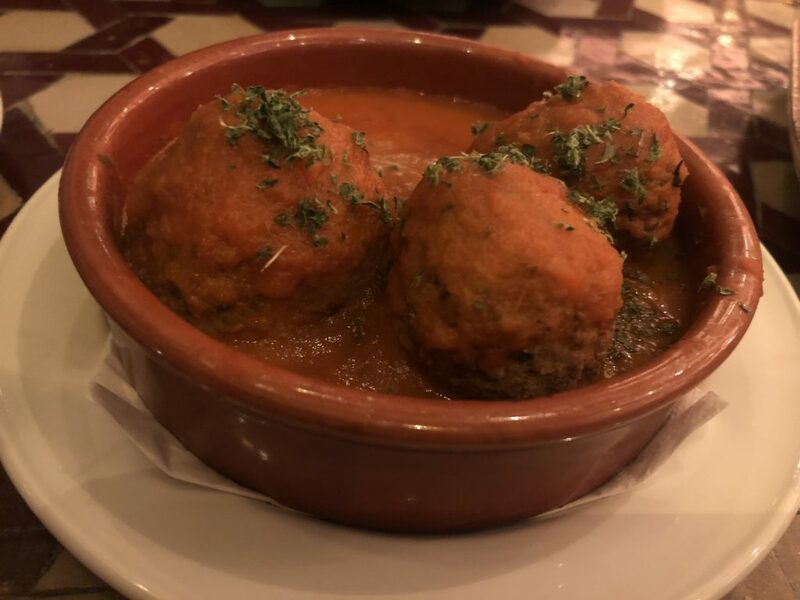 The four croquettes sat on a bed of sauce and were stuffed to the brim with the juicy ham and the stringy mozzarella cheese while the patatas gratinada was full of garlic that smacked you in the face with every bite. A lover of garlic, this, partnered with even more mozzarella cheese, meant I was in potato heaven. My boyfriend had the patatas bravas (skin-on halved potatoes in a spicy tomato sauce and aioli) which is a well-known Spanish dish, the chorizo y butifarra negra (sauteed chorizo sausage and black pudding in a spicy tomato sauce) and the pescado adobado (lightly dusted cod fillet pieces marinated with lemon, paprika and garlic, served with garlic mayonnaise). 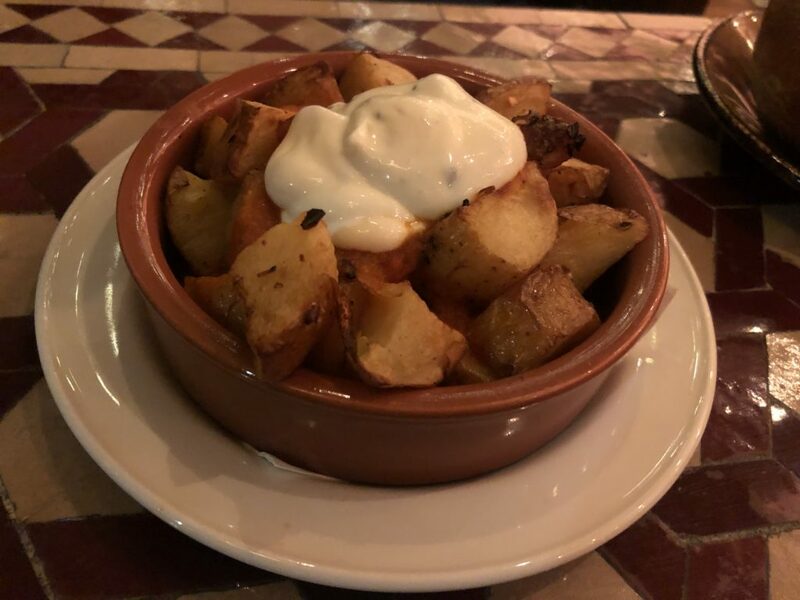 The patatas bravas dish was delicious and the aioli sauce that was heaped in the middle of the chopped roasted potatoes was heavenly, it complimented the rich, spicy tomato sauce poured over the potatoes perfectly. The pescado adobado pieces were brilliant, too, and the cod, which was cooked beautifully, was encased with a light batter. Served with a wedge of lemon, he squeezed it over the fish and dunked the pieces into the garlic mayonnaise. 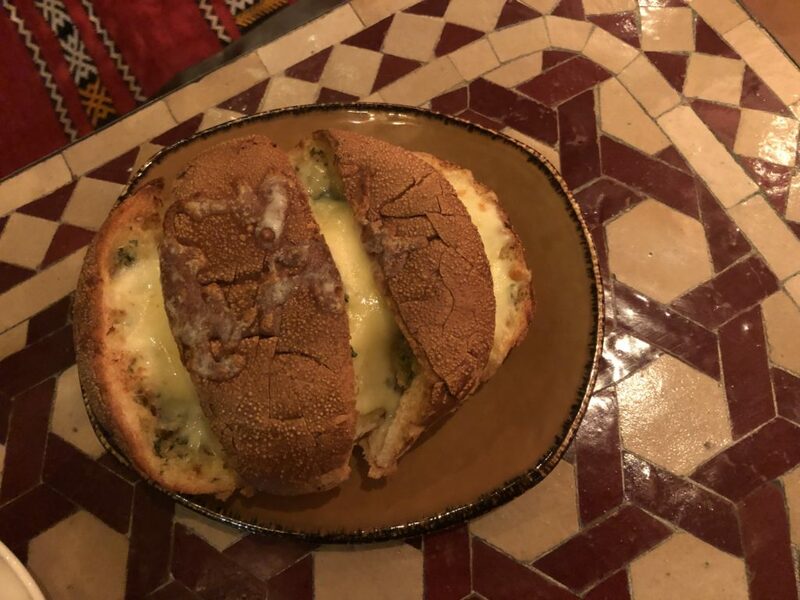 And as an extra side, we went with the pan de ajo con queso – a whole large Spanish bread, baked with garlic butter and cheese. Oozing, the stringy cheese and bread combo was a little messy to eat, but we stuck in with our hands not caring about the lack of napkins we had to hand. The true star of the evening was definitely the serrano ham and cheese croquettes. A fantastic balance of a warm, crunchy texture and the deep flavour of the serrano ham. 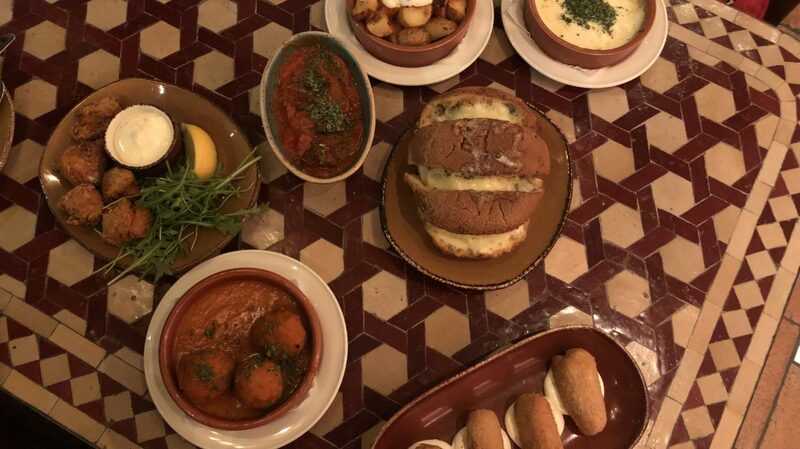 My boyfriend said he made the right choice with the chorizo sausage and black pudding – if you’re a fan of spice, this is right tapas for you. A special mention also goes out to the creamy and cheesy baked potatoes – equally loved by my boyfriend and me. Although we could barely polish off our tapas, we still have room for the dessert on offer. I opted for the tarta de chocolate, a rich chocolate torte served with mascarpone cream and crystallised orange zest. And yes, it tasted as good as it sounds. A lover of chocolate, it was a dessert that had my name firmly cemented on it. My boyfriend chose the pastel de queso, homemade praline cheesecake served with salted caramel and honeycomb tuile. Smooth with crunchy and chewy elements, it made for the perfect dessert to follow all that tapas. You would think the soft chocolate of the torte would be the highlight, but it was its crust that had me raving about it at the end of the night. Buttery, crispy and crumbly, it was perfection. 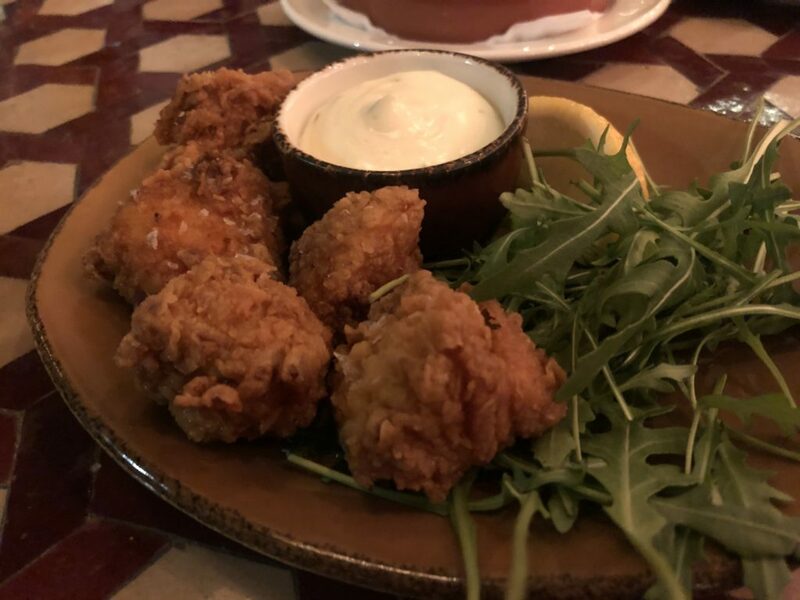 For a wide range of options and a craving for something to remind you of your holidays on the coast of Spain, Café Andaluz is worth a visit this week. The dinner special gives foodies a chance to sample and savour a variety of options – including dessert. 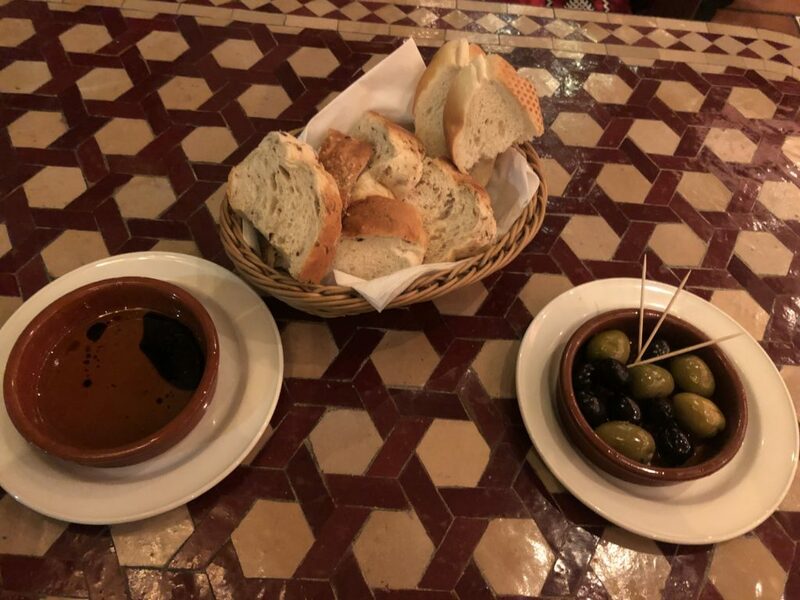 Aberdeen Restaurant Week menu: A £10 two- course lunch (basket of bread and olives plus two tapas) or a three-course dinner (starter, three tapas and a dessert).